We are fortunate to have the advanced dental care we have today. In the past, diseased teeth simply fell out of the mouth or were extracted. Today, we have root canal treatments to save natural teeth after infection. You may be surprised to hear that root canal therapy is a simple procedure that eliminates pain. We offer safe and comfortable root canals. If you suspect your tooth may need attention, don’t wait until the situation progresses! Contact Center Point Dental right away. If a tooth has a crack or deep cavity, it is exposed to bacteria. When bacteria gets into the inner soft tissues and nerves of the tooth, the tooth becomes infected. 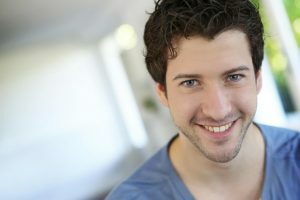 Let’s preserve your smile by removing the pulp with a root canal treatment. If you have any of the above symptoms, please contact us. We promise to use advanced technology, patient comforts, sedation options, and a gentle approach to your root canal treatment. During any treatment, your comfort is paramount. To schedule your exam or appointment, call Center Point Dental today.